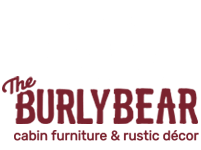 The Burly Bear's Free shipping is for any order of $99.99 dollars or more. Does not include FREIGHT items such as furniture and large oversize items.Free ground shipping ONLY!! Some exclusions may apply and some flat freight oversize charges may apply. May use only one promo code per order. If item(s) are returned, cancelled or exchanged, the offer's value(shipping and handling) will be deducted from your refund and possible 10%-20% Restocking fee may apply. Discount cannot be redeemed for cash. Not valid on previous purchases. Cannot be combined with any other offer. Offer may be modified or discontinued at any time without notice. Free shipping promotional offers are valid only for orders shipped within the contiguous U.S.A (Free Shipping offers are not valid for Alaska, Hawaii,or Canada) due to the extra shipping costs to these areas. We do not ship furniture to Canada or Alaska or Hawaii. Alot of the merchandise on our website is shipped directly from the manufacturer and may take longer than one week for shipping. Please email us at info@theburlybear.com for questions related to product availablility and and delivery times. Shipping rates and free shipping policy apply only to items shipped within the contiguous U.S.A. (Shipping rates and fee shipping do not apply for Alaska and Hawaii orders). Free shipping is only available for ground shipping (not express shipping). Ground shipping includes UPS and/or USPS priority mail. Shipping time for most items in the U.S.A is 4 to 5 business days. Items shipped directly from the manufacturer may take 5 to 7 business days for delivery. Some chandeliers and furniture may take up to 3 to 6 weeks for shipping. If you order more than one item you may receive your order in separate deliveries. Express shipping is available for some in stock items. The delivery time for Express shipping is 3 to 4 business days from the date of purchase. The cost for Express shipping is an additional fee (in addition to regular ground shipping fee). Express orders will be shipped via UPS. Free shipping promotional offers can not be used for express shipping orders. Express shipping is only available for orders shipped within the continental U.S.A.
Orders shipped to Alaska will be sent priority mail using the United States Postal Service. 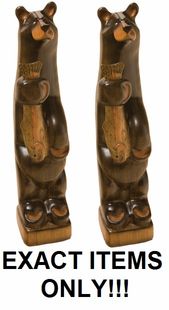 Only merchandise stocked in our store can be shipped to Alaska. All other merchandise will be canceled from the customers order and the customer will be notified prior to shipping. The shipping rate table above and fee shipping promotions do not apply to Alaska and Hawaii orders. The shipping rate to Alaska will be higher than our normal U.S.A. rates. Furniture is delivered by a freight carrier. The carrier will schedule a delivery time and provide curbside delivery. the customer is responsible for moving the furniture into the house and setting it up. The customer is responsible for all freight charges and restocking fees if they refuse delivery of furniture items. Both of the freight charges and the restocking fee will be subtracted from the customers refund when a customer refuses delivery or cancels their furniture order while their merchandise is in transit. We do not ship furniture to Canada, Alaska or Hawaii. We can not accept returns or issue refunds on customized merchandise. We will replace the merchandise if it is damaged at no cost to the buyer. From time to time we may provide promotional offers such as discounts or fee services. The promotional offers are only valid from the time they are issued to the expiration date date advertised in the ad. To take advantage of these offers a coupon code must be used when ordering. Customers can not use more than one coupon coder per order (can not take advantage of two different promotional offers for the same order). Free shipping promotional offers are only valid for orders shipped within the contiguous U.S.A. Customer Satisfaction is very important to us at The Burly Bear. Damaged item- We will replace any damaged item at no cost to the buyer, as long as we are notified within 5 days after merchandise has been received. Not satisfied- If you are not satisfied with the merchandise you purchased, you can return the merchandise within 30 days from the day received and we will refund your money excluding the shipping fee. Please email or call us before returning merchandise to obtain the correct return address for your package. The merchandise must be adequately packed and insured before returning. Custom orders, clearance products, gift certificates and bulk orders are nonrefundable.